The New Year is a time when you might be taking stock of your overall health and deciding to make improvements. You might be thinking of cutting back on fast food or getting to the gym more often. But what about going through a sugar detox? Quitting sugar can go a long way toward making you feel great and look great as well. Here are some tips on how to stop eating sugar, so you can be at your best this year. Why Consider a Sugar Cleanse? One study involving 30,000 people shows just how important a sugar detox could be. Researchers looked at two groups. One group received 20 percent of their calories from added sugar. The other group only received 8 percent of their calories from added sugar. Fructose makes you overeat because it increases your body’s resistance to leptin. 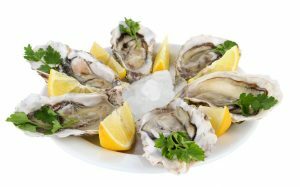 This is a hormone that lets you know when you’re full.7 If your “leptin switch” isn’t activated, you’ll be more prone to overdoing it at the dinner table. As you can see, quitting sugar can deliver a lot of health benefits. Giving in to sugar cravings can do a lot of damage to your body, but a sugar cleanse can stop those cravings for good. When it comes to actually detoxing, however, it takes effort. A sugar detox means staying away from added sugar in soft drinks, candy, ice cream, and the like. There are also many drinks you would think are healthy that have a lot of added sugar in them. 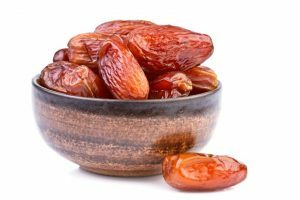 Magnesium – Magnesium may help to reduce stress levels by helping manage the level of cortisol, the so-called “stress hormone.”13 When people are stressed, they often turn to sugar-laden junk foods for comfort. 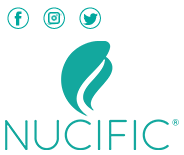 Are you familiar with probiotics? These are the “good bacteria” that help to reinforce the beneficial microbes already in your gastrointestinal tract (your “gut”). If you consume too much sugar, the balance between good and bad microbes can be thrown off. This can lead to an overgrowth of bad microbes, and potential health issues.17 Probiotic supplements can help make sure you have enough good microbes to offset the harmful ones. 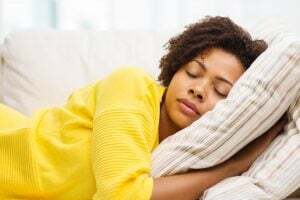 You might not think sleep would affect your sugar cleanse, but research indicates that there’s a definite link between the two. In one study, sleep-deprived participants tended to eat foods with too much sugar. How can you make sure you’re getting the right foods that provide you with the nutrition you need while still limiting sugar? One of the best things you can do is to be a careful shopper. It might take a little longer to do your shopping, but it’s time well spent. Check the labels on all of the foods you buy the next time you go to the grocery store. 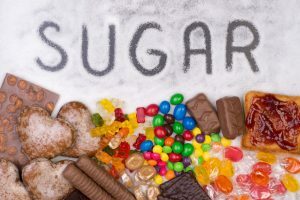 If they include ingredients such as dextrose, maltose, or high-fructose corn syrup, understand that those are just other words for added sugar. Keep those foods off of your meal plan, so your sugar cleanse can be as successful as possible. Do you like to spread a little jam on your toast? 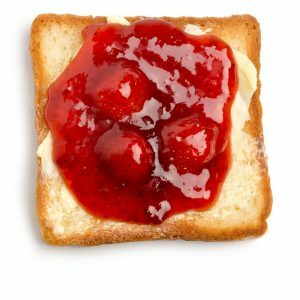 Well, the bad news is, most brands of jam are loaded with sugar. But there are healthy alternatives that can help your sugar detox. For instance, spread some nut butter on your toast, instead of jam. Eating breakfast foods that are high in protein and fiber will give you a full feeling, so you won’t be tempted to snack before lunchtime. Try plain oatmeal or plain Greek yogurt. For more flavor, sweeten it with fresh fruit. Do you reach for the ketchup without even thinking? If so, you might very well be consuming a lot of sugar without even realizing it. A single tablespoon of ketchup can have up to a teaspoon of sugar.26 So, when you go to the store, look for sugar-free brands. You can find low-fat alternatives to just about any sort of food. But even though you might assume they’re good for you, the opposite might actually be true. Don’t take this to mean that all low-fat alternatives are bad for you. Whether you’re on a sugar cleanse or not, just take the time to look at the labels to make sure you’re choosing the highest quality products. If those sugar cravings hit in the middle of the day, look for snacks that are healthy and won’t derail your progress. Hard-boiled eggs, nuts, and fresh fruit are tasty and filling snacks that will help keep you on track. Just because you’re on a sugar detox doesn’t mean you can’t enjoy a delicious dessert after your meal. Are There Sugar Detox Side Effects? You might be wondering if you’ll experience any sugar detox side effects, or if you’ll have to go through sugar withdrawal. Research might help ease your mind. Have a talk with your doctor first, of course, if you have any questions or concerns regarding a sugar detox. If you’re thinking of ways to improve your health in 2019, consider giving a sugar detox a try. 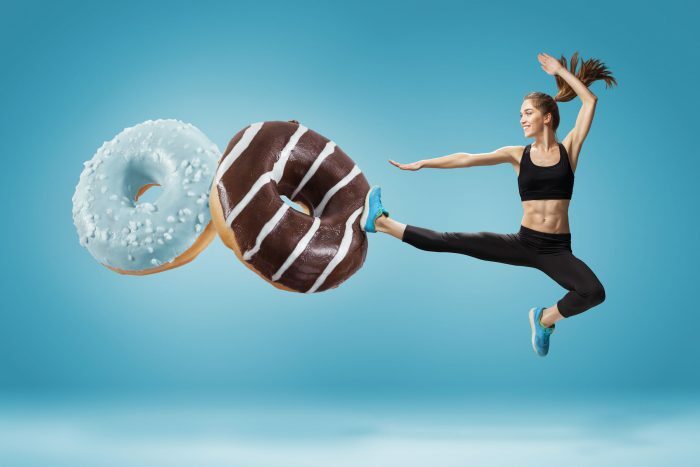 It will take some work and willpower to fight those sugar cravings, but it might just end up being one of the best decisions you make all year.